The Echo Show is the only Amazon Echo product with a home screen. When you’re not using it, the Show will suggest voice commands, display your events, and even bring you current events. If you don’t like what you see, you can customize the background photo and what cards the Echo Show displays when it’s not doing something else. 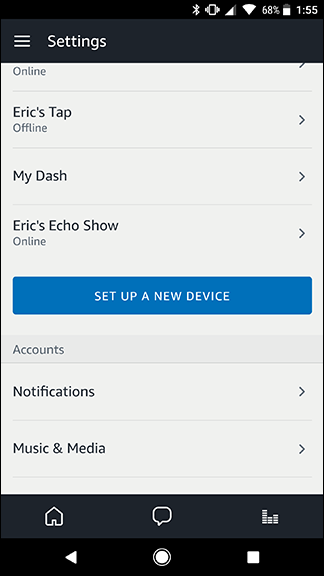 To customize your Echo Show’s home screen, swipe down from the top of the screen and tap Settings. Towards the top of the list, tap Home Screen. 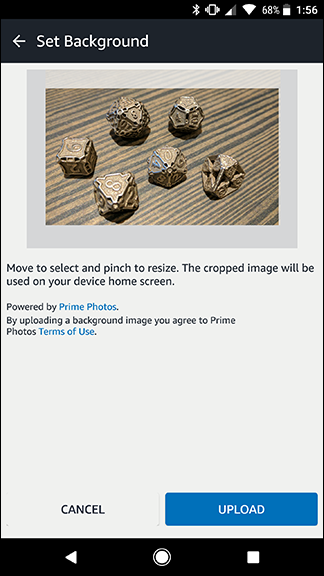 Default: This option will pull select photos from Amazon’s photography library. This is the option your Echo Show uses out of the box, so it should already be selected. 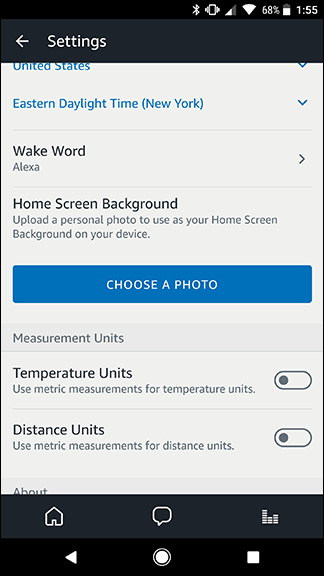 Alexa App Photo: This will let you upload your own photo to the Echo Show. It will only display one photo, instead of cycling through several. To set this up, you’ll need to use the Alexa app that controls your device. Prime Photos: If you use Amazon Prime Photos to store your photos, you can choose one of the albums on your account to be your background. Your Echo Show will then cycle through each photo in the album. We’ll demonstrate how to change your background to a single photo. Tap Alexa App Photo. Your Echo Show will tell you that you need to add a photo with the Alexa app. Open the app on your phone. Tap the menu button in the top left corner and choose Settings. Scroll down in the list to find your Echo Show and tap it. Just below Home Screen Background, tap the big blue Choose A Photo button. 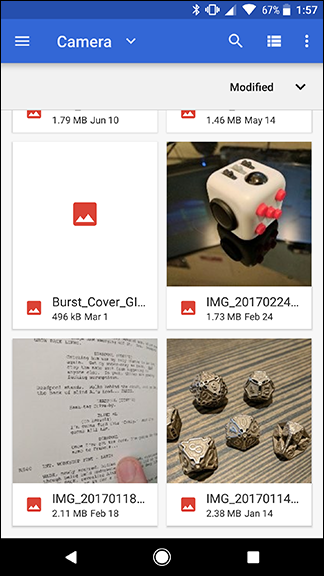 In the file picker that appears, choose a photo you want to use as a background. On the next screen, you can move or zoom in the photo on just the region you want. The overlay will show you what part of the photo will be visible on the screen. Now your photo will be set to the background on your Echo Show! If you’d like to switch back to the default or Prime Photos option, you can do that on the Echo Show itself. However, if you want to change it to another single background photo, you’ll need the Alexa app again. Back on the Home Screen menu, there’s one more customization option called Home Card Preferences. Tap it. The first option at the top of the screen is labeled Rotation. This determines how often the Echo Show rotates the cards—things like your events or news—on your home screen. By default, this is set to Rotate Continuously, which will keep changing which card is being displayed on your screen. If you choose Rotate Once, the cards will cycle through once whenever you go to the home screen, but otherwise you’ll need to swipe from one card to another to see new ones. Below that, you’ll find the real interesting part. Here, you’ll see a set of toggles for the kinds of information that can be displayed on the home screen. There are four toggles you can turn on or off. 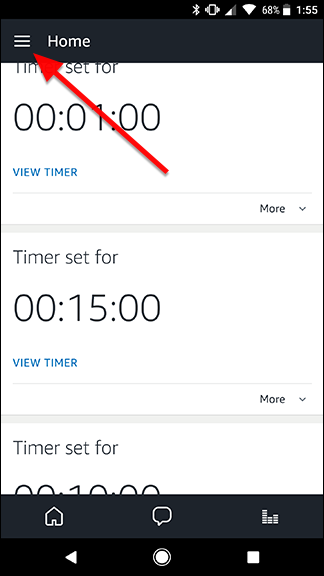 Notifications will show you alerts about new skills or suggest voice commands to try. Upcoming Events will pull information from your calendar and let you know what’s coming up. Drop In will show you anyone that you can contact quickly using Amazon’s Drop In feature (if you haven’t disabled it entirely). Finally, Trending Topics will show you cards with news and current events. If you don’t want to see any of this information, turn off those toggles. The Echo Show home screen doesn’t do a ton, but then it doesn’t need to. 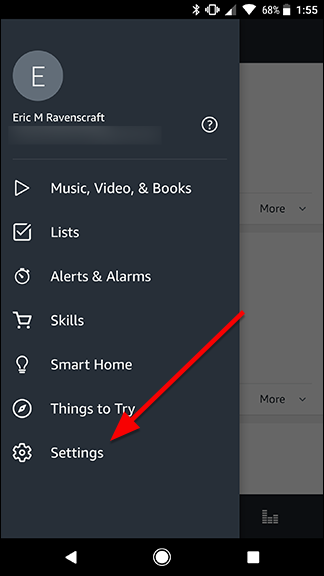 Fortunately, you can customize pretty much every aspect of what Amazon shows you when you’re not using the Echo Show with just a few taps.